This view shows the lift span of Junction Bridge. 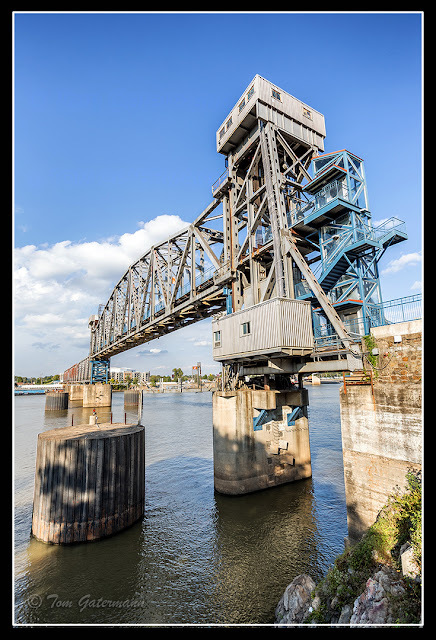 Built as a railroad bridge, it now serves as a pedestrian bridge that spans the Arkansas River. The lift span is permanently in the raised position so that river traffic can pass underneath. You can see the stairway and elevator additions to the bridge that allow pedestrians to walk across the lift span.